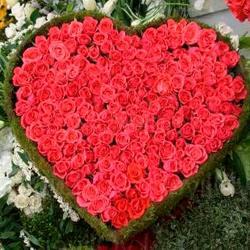 Heart shape arrangement of 70 Red Roses. 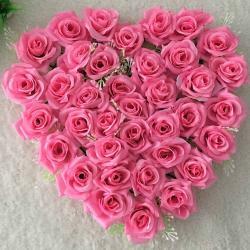 Express your emotions for your special someone with this mind blowing gift item and which contains meaning of deep love. 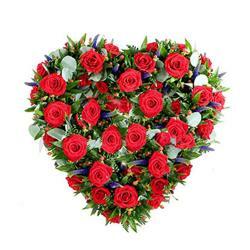 This heart shape arrangement has 70 Red color Roses with green fillers. You can approach someone with this gift item; it would be nice for gifting to your girlfriend or wife. 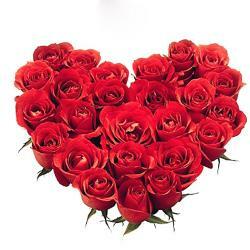 Girls love Roses as gifts and this gift item will surely elate your special someone. They look pristine and the arrangement is impeccable. It is a great gift to be given on weddings, anniversaries, Valentine s Day , Birthday, first engagement anniversary and many more So go ahead, place your order now. 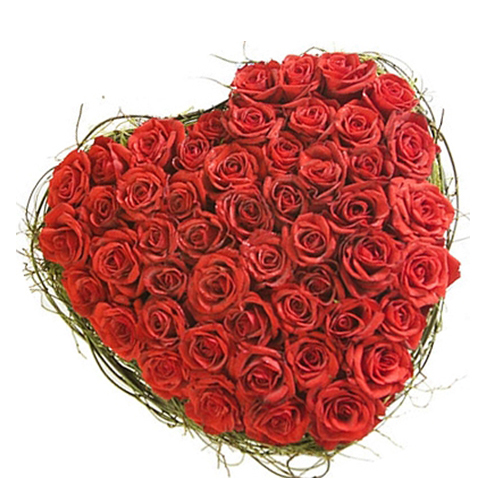 Product Details : Heart shape arrangement of 70 Red Roses.